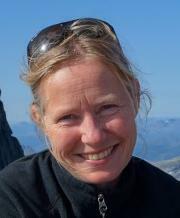 I am a plant ecologist with experience from tundra in alpine and arctic ecosystems such as Northern Norway, the Canadian Arctic, Spitsbergen and the Alps. My research interests are interactions between species or functional groups, with emphasis on plant-herbivore, plant-plant and plant-endophyte interactions, and I have research interests in biodiversity and species distributions. Central to my approach as a researcher is studies on methods and study designs in plant ecology.